Before our designers could take a stab at it, it was important to understand the history behind these awards. 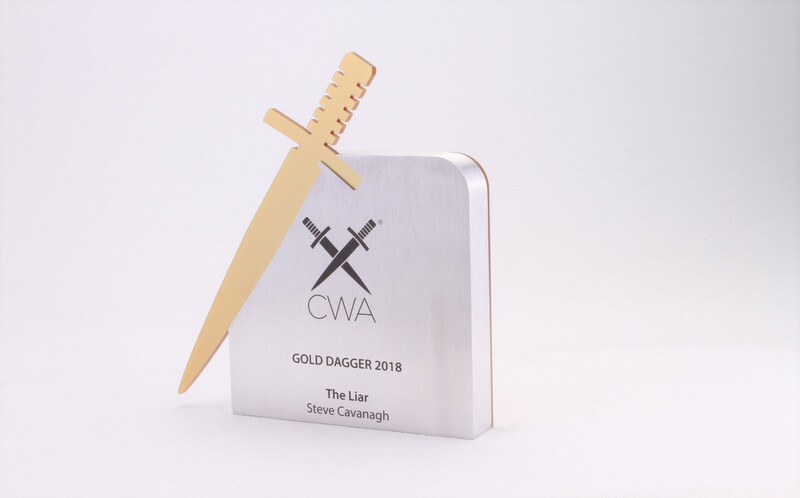 Established for over 50 years, the CWA Daggers are the benchmark for quality crime writing. These prestigious awards were first presented in 1955, less than two years after the association was founded, with the famous ‘Red Herring Award’ going to Poldark writer Winston Graham for his thriller The Little Wells. The brief was clear: we needed to design an award that could survive the test of time, while remaining true to the founding principles of these awards; to celebrate excellence in crime literature, and the organisation that makes it possible. 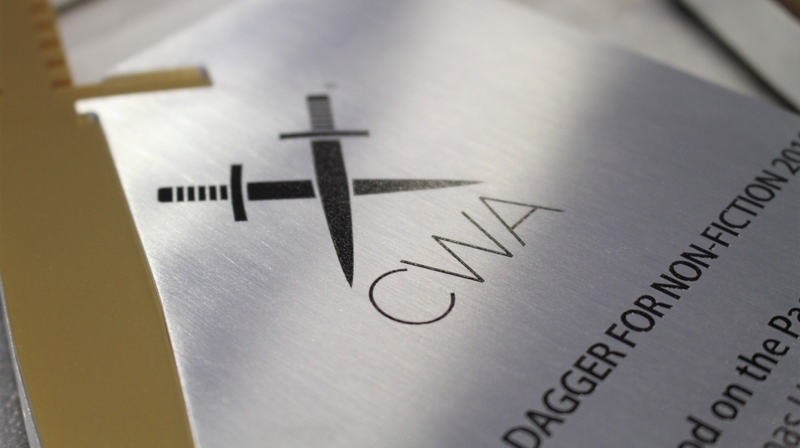 The CWA Daggers are freestanding tablets with profiling and acrylic detail. Brushed aluminium reduces the appearance of marks and fingerprints when handled, making it perfect for highly-publicised events with lots of photography. Not only does a brushed finish give a smooth feel, it also has a professional and contemporary matte appearance. Each award is individually personalised with a UV print. We don’t charge for personalisation, so every award can be customised without exhausting your budget. 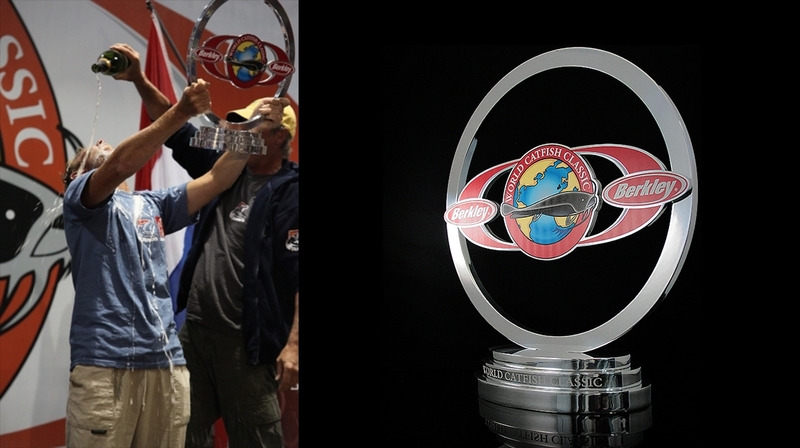 Finally, acrylic detail and profiling sets these awards apart. 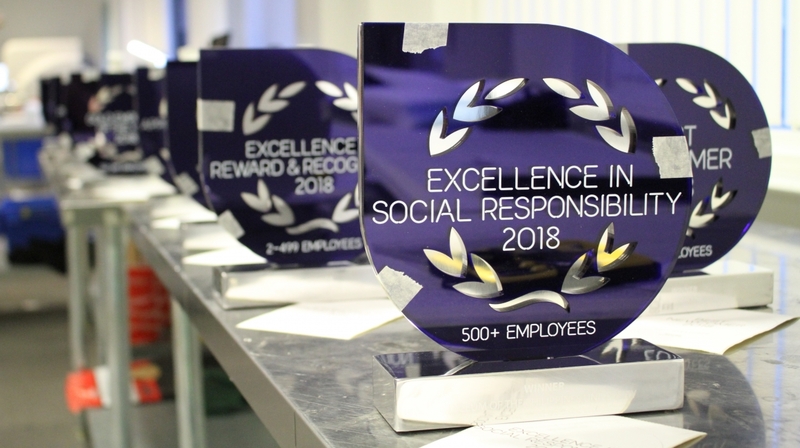 The curved and cut corners set these freestanding awards apart from a standard aluminium tablet, and the addition of gold acrylic detail emphasises and celebrates the brand. Acrylic backing offers another solid pop of colour, without overwhelming the front-facing design of the award. 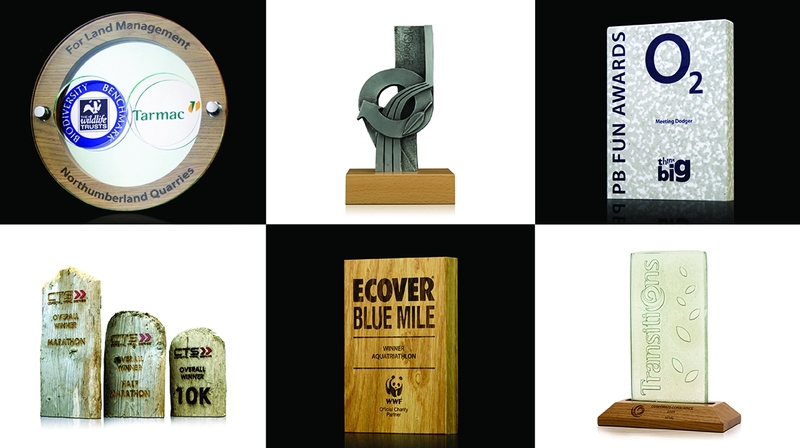 These awards are a simple solution for an iconic event. Branded elements incorporated into a design offer a timeless method of integrating an award with your brand. 2018 Daggers winners include Bill Crotty, who took home the Debut Dagger for The Eternal Life of Ezra ben Simeon, and Martin Edwards with the Dagger in the Library. Steve Cavanagh was awarded the Gold Dagger for his third Eddie Flynn book, The Liar. We’re an open book – enquire with us and receive a free, no-obligation design with a competitive price. To hop on the 4:50 from Gaudio and find out more about the award or plaque we can design and manufacture for you, call us on 01242 232 383. Alternatively, email sales@gaudio.co.uk, or fill out the ‘contact‘ form on our website. One of our Project Managers will be in touch to discuss your requirements.